Rev. 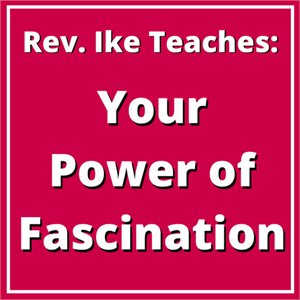 Ike teaches you how to make your mind an IRRESISTIBLE MAGNET, to draw all the good that you desire INTO YOUR LIFE! There is incredible power in fascination, because whatever you are fascinated by - whatever you concentrate or focus your thoughts on - be it good or evil - you will draw into your experience. Whatever you are fascinated by - you become! In this lesson you'll learn how to control and direct your thoughts and ideas so - that you STOP being fascinated by thoughts of anxiety, worry, sickness, unhappiness and financial difficulties. Rev. 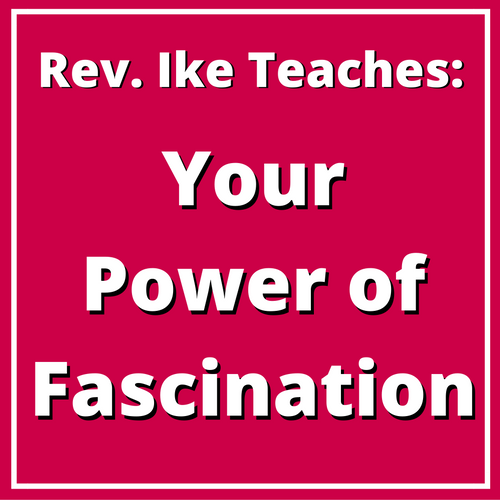 Ike guides you and coaches you into a new way of thinking - you let go of negative thoughts and become fascinated with the GOOD that you want - Love, Good Health, Success, Prosperity and Money. Then you will watch this GOOD materialize into your life!